I was feeling very sassy and NOT feeling the fall color trends! 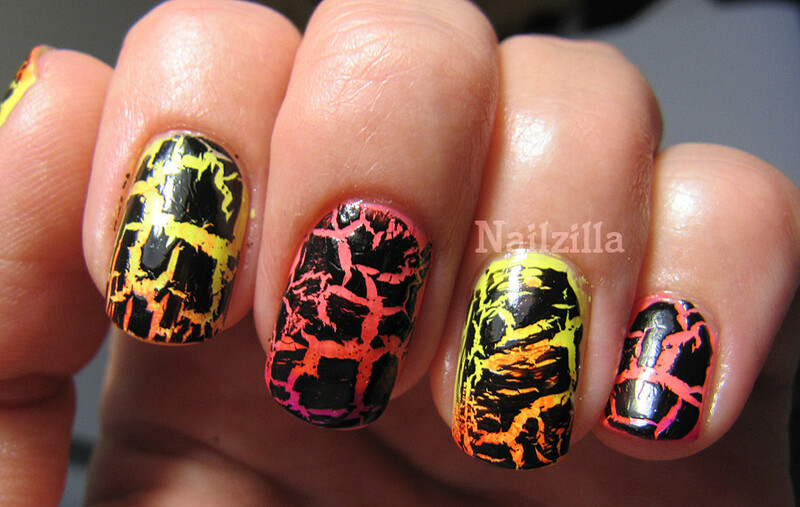 So to break the bleakness, I did a yellow to neon orange gradient and black crackle. I used China Glaze Lemon fizz for the base and Flip Flop Fantasy for the orange. OPI Black Shatter. The alternating nails are ChG FFF to NYC Times square with no-name purple tips. What say you? Beating the fall with a fiery mani or tacky? A completely failed mani... can you tell what it's supposed to be? It was supposed to be Guppy nails (like the little fish). I think I overdid it, guys.